﻿ HuntingNut » Forums » Firearms, Shooting & Reloading » Gun & Firearm Discussions » .300 Win Mag or WSM? .300 Win Mag or WSM? Posted: Fri May 18, 2012 3:45 am Post subject: .300 Win Mag or WSM? I have a friend that is getting ready to buy a rifle. He asked me what I thought of the .308 or .30-06. My answer to him was a question - What do you want to do with it? He explained he was interested in hunting with a 180gr bullet beyond 300 yards. I told him the .30-06 would be about 100fps better than the .308 with the heavier bullets but he out to consider a .300 Win Mag or WSM at those distances and provided him with some ballistic comparison. He did some more research and told me he agrees. My question for the forum is which one would you choose, .300 Win Mag or .300 WSM and why? One advantage of the WSM - it appears to be more efficient with the powder (fps/grain of powder). Posted: Fri May 18, 2012 4:52 am Post subject: Re: .300 Win Mag or WSM? I agree. Ballistics-wise, there isn't enough difference between the two to matter. Whatever you hit with either isn't going to notice the difference! If I had to make the choice, I would lean heavily towards the WSM simply because of what you note...its efficiency. Posted: Fri May 18, 2012 5:12 am Post subject: Re: .300 Win Mag or WSM? If you're buying loaded ammo, it probably doesn't matter. If you're a reloader, then you'll probably find 300 Win. Mag. brass is a bit more available and cheaper so that's why I'd go with that cartridge. That said, if I ever got the bolt action handgun with the shorter action I've been lusting over for some time, the cartridge I'd choose would be the 300 WSM. Posted: Fri May 18, 2012 5:44 am Post subject: Re: .300 Win Mag or WSM? Brass issue may well be a good point, as you mentioned. Assuming a person can lay in a supply, reloading is where you would see a marked advantage to the WSM. Granted that this only represents one powder and others may react differently, the above represents a reasonable increase in the efficient use of the load. Final decisions may all boil down to what rifle of preference is available in the various chamberings too. Posted: Fri May 18, 2012 6:32 am Post subject: Re: .300 Win Mag or WSM? You could throw the .300 RCM in the mix and then just pick the rifle he likes best. Looks like you could just flip a coin on the cartridges. "The most recent short magnum cartridges, as of this writing, are the .300 and .338 Ruger Compact Magnums (RCM). These .308 length offerings, developed by Hornady for Ruger, are based on shortened .375 Ruger case. This is a beltless bottleneck case with a rim and head diameter of .532". The RCM's were introduced in 2008. Hornady offers .300 RCM factory loads with 150, 165 and 180 grain bullets; 200 and 225 grain bullets are offered in the .338 RCM. 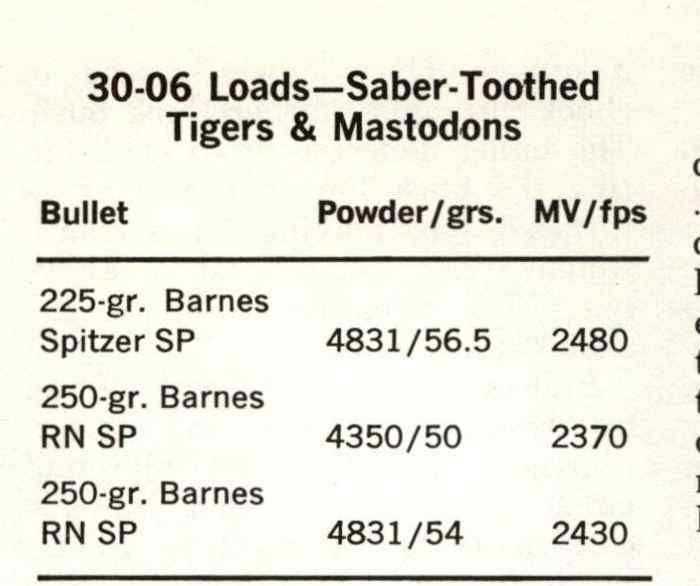 The performance of the .300 RCM is comparable to that of the other .300 short magnums, while the .338 RCM--a true medium bore cartridge--is comparable to the .350 Rem. Mag. and superior to the .325 WSM. Note that these RCM cartridges are not rebated rim designs. This means that they offer improved feeding reliability compared to the WSM and SAUM short magnums. As such, they (along with the 6.5mm and .350 Rem. Mags.) are the best designed and most reliable of the short magnum cartridges." Posted: Fri May 18, 2012 7:44 am Post subject: Re: .300 Win Mag or WSM? Considering the recoil factor, cost, variety and availability of components. That fact that there really isn't that much difference between the .300 Win Mag and the .30-06 (a few hundred fps). I'd still go with the .30-06. At 300 yards and the 180 grain bullet [of choice] still hurts whatever it hits. Posted: Fri May 18, 2012 8:53 am Post subject: Re: .300 Win Mag or WSM? I agree completely, 30/06 is the way to go. Posted: Fri May 18, 2012 10:23 am Post subject: Re: .300 Win Mag or WSM? I would ask what critters this guy is going to be shooting at 300 yards with that 180 grain bullet. 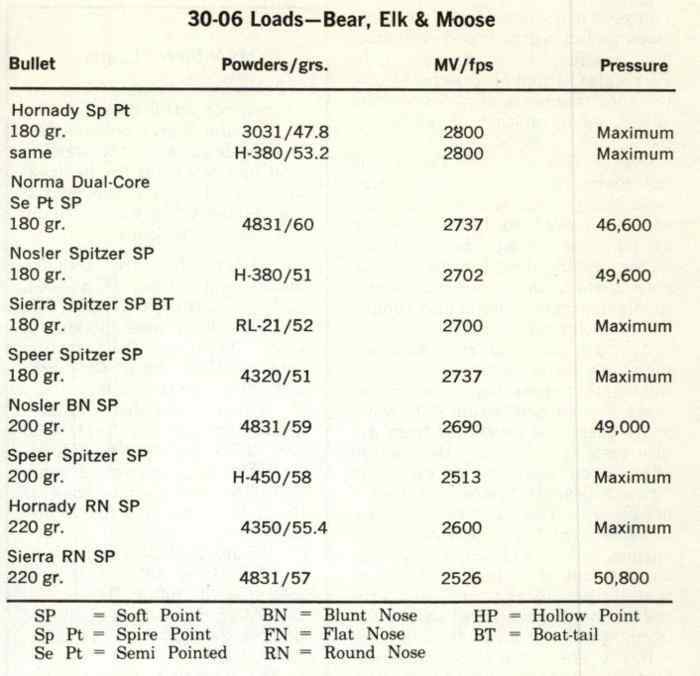 If he is going after big bears, moose or elk then I might undrstand the desire to use the magnums but for anything smaller than a moose or grizzley then the 3006 is going to be more than enough to kill cleanly if he hits it in the right spot. If he needs more cartridge than the 3006 then I would opt for the 338 mag. It is common enough - the military is using it for sniper rifles - that you can get it in more places than the shot mags. The amount of powder being used is a small part of the hunting load and a small price to pay for the success of a hunting trip. "Efficient" cartridges use much higher pressure to get their velocities and that is hard on the gun, shooter's ears and shoulder. It is hard to beat the old '06 when it comes to a big game cartridge. Posted: Fri May 18, 2012 4:14 pm Post subject: Re: .300 Win Mag or WSM? Thanks for all the inputs. I knew this topic would spark interest. He wants to hunt elk with a capability to go beyond 300 yards out to 500 yards. For bullets that are solid enough for penetration and still expand effectively, my research shows they need to be going 1800 to 2000 fps. A .30-06 won't have that much steam with a 180gr bullet at 500 yards. I suggested he could load the .300 WSM on the low side of the recommended loads and have just a bit more than the .30-06 with the option to load higher for longer reach. Here is some of the load data I shared with him. Posted: Fri May 18, 2012 8:39 pm Post subject: Re: .300 Win Mag or WSM? 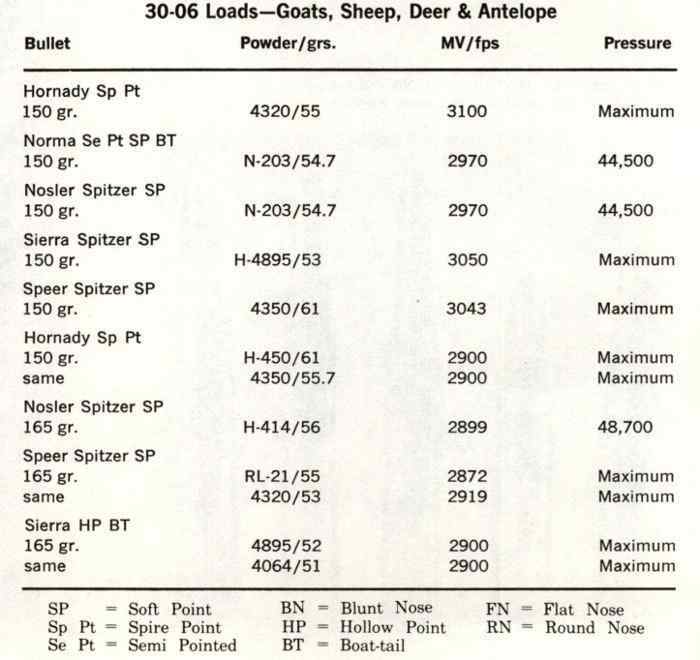 Load data taken from 6th (1972 edition) of handloaders digest for the 30/06/. Posted: Fri May 18, 2012 11:49 pm Post subject: Re: .300 Win Mag or WSM? yip I throw my hat in the 30/06 ring too!!! if the 180 doesnt seen to have the legs to get out to 500yrds have a long hard look at a lighter projectile surely a 165 or 150 of a solidish construction would be more than suitable. Posted: Sat May 19, 2012 4:07 am Post subject: Re: .300 Win Mag or WSM? OV1, your a hoot! Saber-tooth tigers and mastadons! Given a choice, however, I wouldn't hunt with bullet designs from 40 years ago at longer ranges. I want confidence that my bullet is going to arrive where I aim it and will expand, penetrate, and stay intact. The load data you posted for a .30-06 with a 180gr bullet also places muzzle velocity in the 2700fps range. My objective is to still have 2000 fps at 500 yards. Here is what happens down range with this cartridge bullet combinations using a 0.5 BC which I think most of the bullets shown would fall short of. Lighter bullets have faster muzzle velocities but their lower BCs don't help them achieve this objective. Posted: Sat May 19, 2012 6:00 pm Post subject: Re: .300 Win Mag or WSM? Im sure the thousands of bison that were taken with those "older bullets" would tell you that they worked just fine. the millions of red deer shot in this country using fmj .303 ball ammo would probably tell you the same thing. hit em in the boiler room and they will go down pretty quick smart. Posted: Sun May 20, 2012 8:19 am Post subject: Re: .300 Win Mag or WSM? I do like the .300 Win Mag. I also have shot game with my .338 Win Mag. However, the gang is very correct that the 180 gr is the load of choice for the 30-06. My question is why, before a hunt, do you expect to shoot WAY out from 300-500 yards in the first place. I'm a good shot, but except for one time, I have passed up those type of shots. I don't mean to be a poop. Just wondering. Posted: Sun May 20, 2012 10:07 am Post subject: Re: .300 Win Mag or WSM? PS-I even have freinds that own 300 magnums.